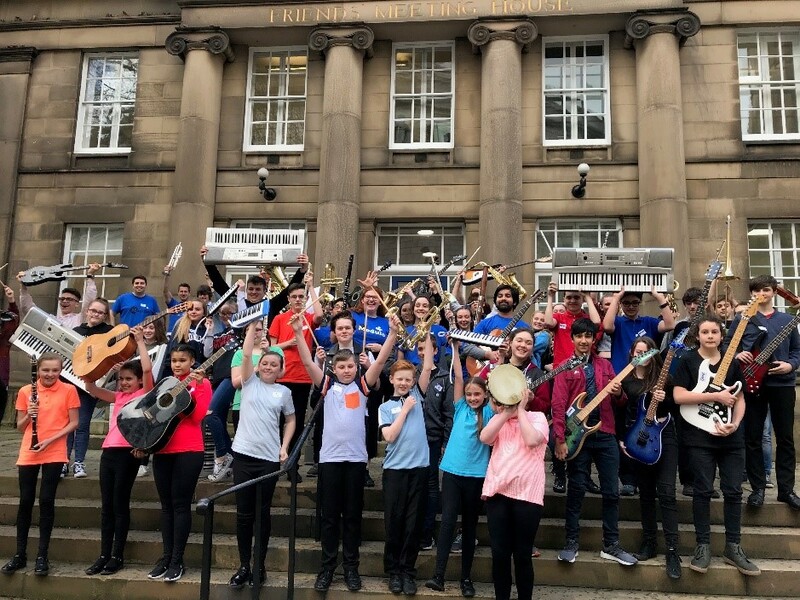 SBSJ’s On Fire Band and their conductor Olympia Leader Mrs Ross-Shaw represented Yorkshire in a large Symphony Orchestra made up of students from schools in Manchester, Liverpool and Preston at the Orchestras For All Modulo North Meet, in Manchester this week. Working with Composer Daniel Bickerton, a lecturer at the Russell Group’s Cardiff University, the Orchestra composed new piece Night Rain, a programmatic piece using the different sounds of the Orchestra to represent both a train and rainy weather. “The trip was amazing! It was fun to work with students at other schools as well as work with the BBC Philharmonic and also Daniel Bickerton!” Matthew Brumfitt, Y12 student. In the summer the students have been invited to attend a National Modulo Meet to perform as part of a monster National Modulo Orchestra!